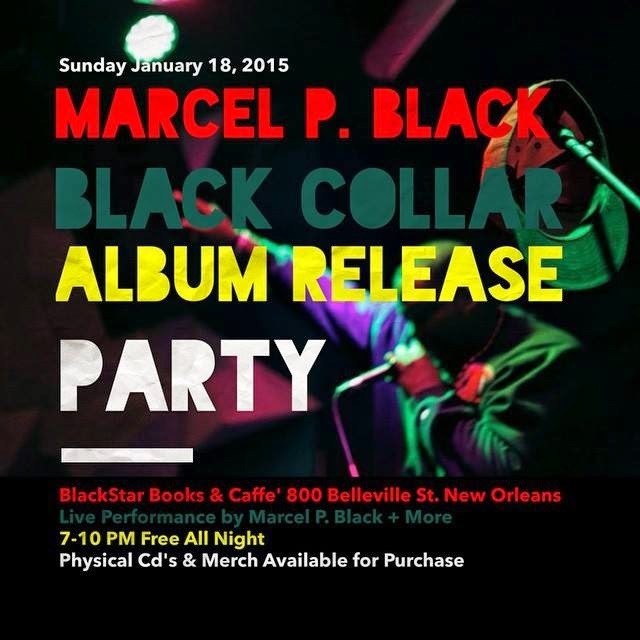 Marcel P. Black will be live in Little Afrika for his album release party for "Black Collar." Doors open @ 7, show starts @ 8. From the pulpits and street corners of Ardmore, OK comes Bryan Marcel Williams I aka Marcel P. Black (the emcee). Once a member of a underground hip hop collective, Black ventured out into solo territories and has been on a steady mission to revolutionize the way you think of, listen to and view hip hop music. Though inspired by multiple musical genres and great emcees, Black's greatest influence as a hip hop artist can be found within himself. An ever evolving entity, Marcel P. Black at one time or another has been a misguided soul influenced by gang culture, an athelete, a band geek, a militant and a mentor but at all times has been authentically a man, authentically him.